Kelsy Reinhardt in RUN THE RACE. ©Roadside Attractions. Mario Van Peebles in RUN THE RACE. ©Roadside Attractions. 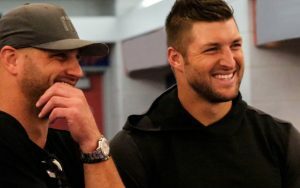 Tim Tebow (r) on the set of RUN THE RACE. ©Roadside Attractions. 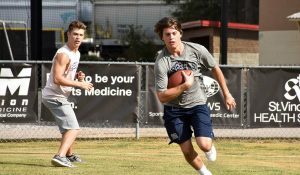 (l-r) Evan Hofer and Tanner Stine in RUN THE RACE. ©Roadside Attractions.